Other: Third book in the Sookie Stackhouse series. There are currently 10 books in the series, with two more being published in the future. The eleventh installment, Dead Reckoning, will be published May 3rd, 2011. In this third book in the series, Bill is going on a secret undercover mission. After two days, Sookie learns that he's been abducted, and Eric sends her on a trip to Jackson to stay with a Were that owes him, so he can take her to a club owned by the Vampire King, and listen to their thoughts. 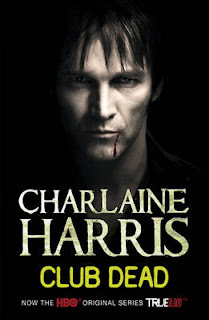 What I particularly liked about this book, is that Bill has screwed things up with Sookie. I don't like Bill and I really dislike his behaviour - he's possessive and selfish and honestly, I can't see what's attractive about him. So to learn that Bill wouldn't really be present in this book wasn't something I'd mind. I would have liked to see some more of Eric, since there's never too much Eric in a Sookie Stackhouse book, but oh well. Sookie seems to have a habit of getting herself into trouble - or rather be sent into trouble that other people made. She's always in the middle of what is going on in Bon Temps or whatever place is nearby or the source of the trouble. I really liked the Were that was introduced in this book, Alcide. I liked him as a character, even though he didn't seem to realize what an evil person his ex/not so ex was. Overall, I really enjoyed myself while reading this book. A big part of that was because we didn't see a lot of Bill in this book, and I was glad about that. I'm actually really looking forward to the rest of the series now and I even read Dead to the World right after I finished reading this one. Club Dead gets 3.5 stars - and I'm starting to like this series more and more. I'm looking forward to reading the next books!